I’m nursing a minor, albeit very annoying, cold at the moment. It’s the typical deal, stuffy nose, cough, fatigue- and all I can think about is warmth, comfort and pampering. Fortuitously, a lovely parcel arrived from Ayala Moriel Parfums last week which included a sample of her newest fragrance Zangvil, and its accompanying perfumed tea. Perfect for autumn, perfect for my achey bones. Of course I was thrilled to give her latest perfume creation a try, but it was the tea I really wanted to dive into. OK, so I didn’t literally dive into the tea, but I definitely steeped in it. I held the cup close to my nose and inhaled its steam, allowing the aromatic vapors to heal my tender and congested self. 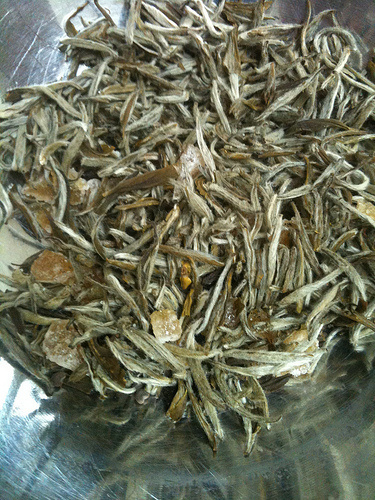 Ayala uses very fine Jasmine Silver Needle tea leaves for Zangvil, which is harvested in the spring and then laced with night blooming jasmine during the summer. I envision the jasmine blooms opening and infusing the white tea leaves with their scent, just as Ayala’s Zangvil tea infused me with its restorative perfume. And not only with the perfume of jasmine, but also of organic crystalized ginger, ambrette seeds and vanilla bean. It’s a gorgeous tea and I think I need to make another cup as I continue to write. Ahhh, now that I have the aroma of Zangvil swirling about me, I am tempted by my other autumnal (and common cold) indulgence- the bath! I guess this is when the real steeping begins right? It’s a simple pleasure really, immersing oneself in hot water. But when you add something deliciously scented into the tub, it becomes a truly pampering experience. 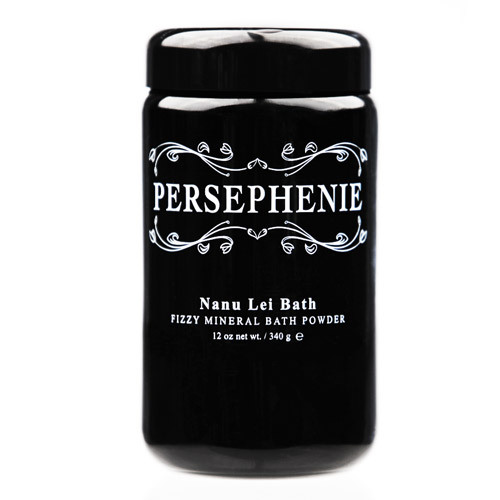 My newest bath discovery is Persephenie’s Nanu Lei Bath, a fizzy mineral bath powder with the potent hydrating powers of coconut oil and cocoa butter and the captivating scent of tiare. Nanu Lei Bath has just the right amounts of coconut, tiare and a sparkling citrus to warm your senses with thoughts of a dreamy tropical destination without hitting you over the head with too much of any of them. I adore it. During the fall and winter months, I like to ramp up the pampering, and apply a facial mask before dipping into the tub. Evan Healy’s French Rose Clay Mask has occupied my number one spot for just over a year now, but I decided to give a new one a try, Naturopathica’s Pumpkin Purifying Enzyme Peel. My first test-drive timing wasn’t great as it was on a hot, dog day of summer, and I was not feeling the scent of pumpkin. Fast forward to the cold chill in the air of late October, and it’s ideal. According to the Naturopathica website, pumpkin is an exfoliator that is loaded with antioxidants given its high beta carotine content. Cinnamon is also in the mask which gives it a spicy aroma and also acts as an antiseptic. I’ll take their word for it, because after I rinsed it away, my skin felt smoother and softer and I had a curious craving for pumpkin pie. My last autumn discovery is actually a rediscovery of a forgotten perfume love, YSL’s Paris Roses des Bois. This Paris flanker was released in 2004 and it’s been far too long since I paid it any mind. It’s much more wearable on me than the original Paris which I find too cloying. If you’re familiar with Roses des Bois, you know it to be full of pink roses and blackberries, with an added smidge of sandalwood and musk. Not your typical fall-ish fragrance I know, but it’s really working for me in this colder weather. The musk has taken on a new coziness this autumn as the rose feels a little wilder and the blackberry like a special preserve you ration out during the chilly months. Happily, I have a huge bottle that need not be used sparingly. This jammy rose can now take its rightful place at the front of my perfume collection. What are your latest autumnal discoveries? Feel free to share in this blogging event! 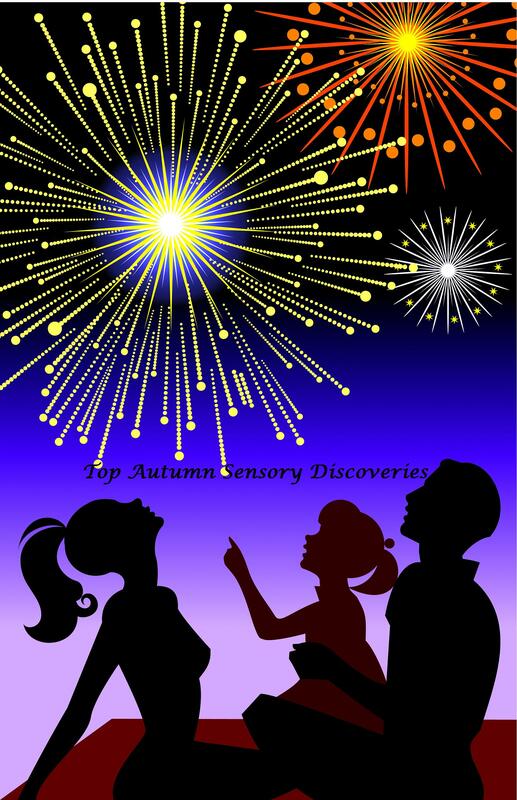 And please visit the following blogs for more autumnal pleasures, and many thanks to Elena of Perfume Shrine for getting this together! Ah, the Paris flankers: some of them are truly stellar. Roses de Bois was my fav out them as well; unfairly unsung. I find that sometimes, to a hard-case of a perfume maniac, the mere mention of “flanker” is a deterrent (so many being so mediocre or unrelated). But the YSL ones to Opium and Paris have all been good, for some reason. Ayala makes some wonderful stuff! If only she were closer by to me. It’s too bad that “flanker” has become an almost derogatory term these days. But, it’s understandable as most companies are churning out unforgettable flankers. I love that Paris Roses des Bois rings true to the original, but with its own charm. I’m also glad I have a big bottle as it seems hard to come by! Oooh, Ayala’s tea sounds heavenly. And I’m intrigued by the sound of that Roses des Bois. Roses des Bois is really lovely. Give it a whirl, especially if you’re a fan of the original Paris. Hope your cold goes away quickly so you can enjoy the many beautiful aromas of the last couple of weeks remaining of our Pacific Northwest fall! Your Zangvil tea is really special, thank you for sharing it with me. So many of the Paris flankers come in such pretty bottles! That is the part that gets me; I’m a sucker for a pretty bottle. Alas, not many of them work for me, and I don’t own FBs of any.